It’s becoming less of a case of if, more of a question of when. 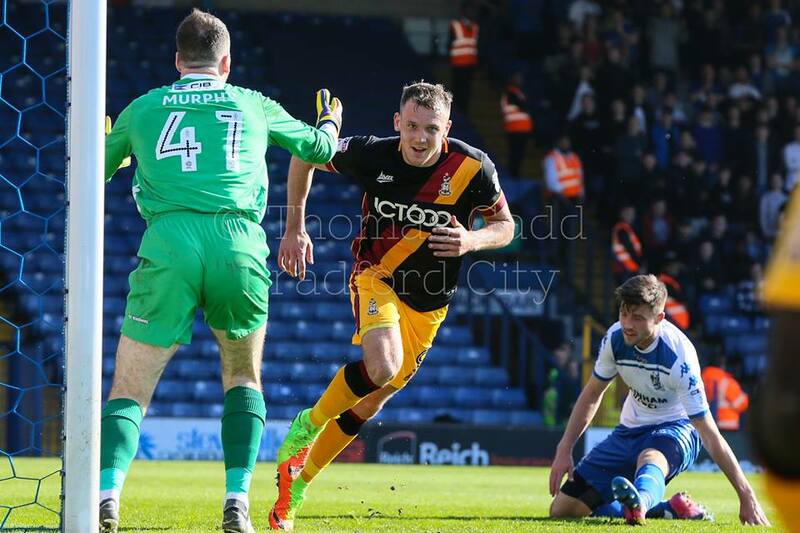 At a point of the season where every result carries greater significance, Bradford City took a mightily big leap towards securing a spot in the play offs. They sparkled in the Bury sunshine, earning a priceless victory through two second half goals that were netted right in front of a buoyant away following. And as the players trooped off at the end, beaming about a terrific afternoon’s work, the euphoria will have only risen further as they received news of results elsewhere. 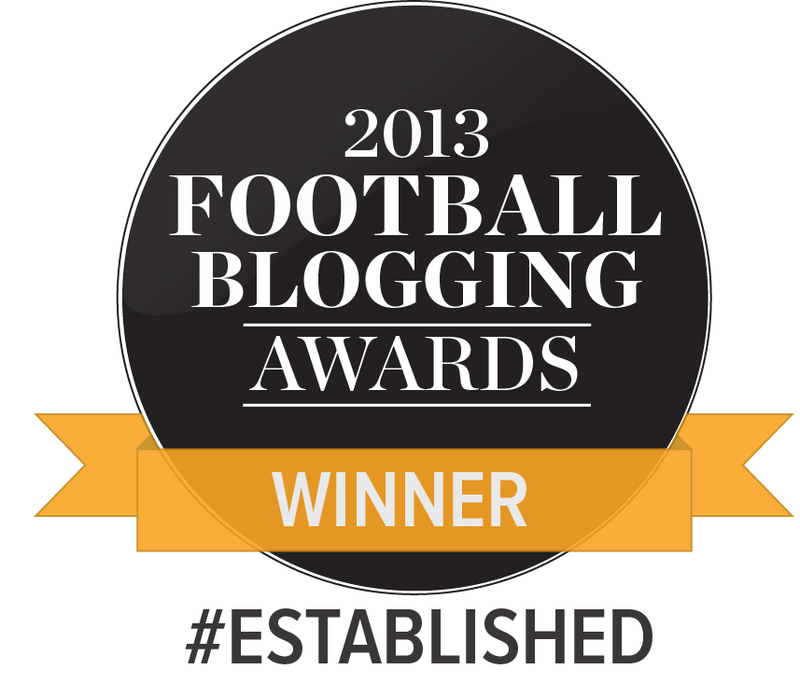 Fleetwood, Millwall, Southend United, Rochdale and Oxford United all failed to win. Scunthorpe United were the only other side in the play off area to chalk up three points. It was almost the perfect day for Bradford City, who have increased the cushion above 7th-placed Southend to six points. With only four games left to play, it would take an almighty set of improbable results to deny the Bantams now. Seven points from the final 12 will guarantee a play off spot, but in all likelihood they probably won’t require that many. Millwall and Southend would have to go on unlikely winning runs, and City would need to completely collapse, for it to go wrong from here. That seems utterly implausible. City have only lost six games all season, and have continually demonstrated commendable resilience and character to bounce back from set backs. The Bantams’ form since the turn of the year has been sensational. At this moment, you’d struggle to put forward any rational reason for why they won’t finish off the job and extend their season. At Bury they lived on the edge for nearly an hour. This was not one of the season’s finest displays. 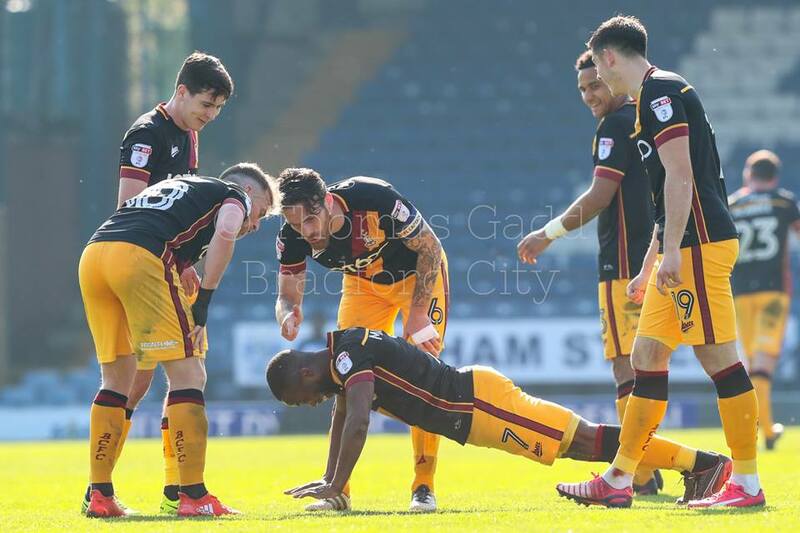 The home side missed gilt-edged chances, put City under some notable pressure during the final 15 minutes of the first half, and frustrated the Bantams attack by keeping men behind the ball and attempting to hit them on the break. James Vaughan – so prolific for the Shakers all season – will hope his first half miss doesn’t prove pivotal in Bury’s season. Left unmarked and with a chance to run clean through at Colin Doyle’s goal, the former Everton man somehow failed to find the back of the net as his shot trickled wide for a City goal kick. He argued – angrily enough to incur a booking – that Doyle tipped his shot around the post. No matter. A player of his pedigree should have scored. Bury looked a side short of confidence and their defence was panicky every time it was exposed. While City players would have been punching the air at other League One results, Shrewsbury’s victory over Rochdale has put Bury right back in relegation trouble. That is the true cost of Vaughan’s miss. Not that Vaughan was the only striker who had a day to forget in front of goal. In the opening stages Alex Jones was presented with a free header from Mark Marshall’s terrific cross. He planted it well over. From a counter attack chance, Jones was a little too slow to release Marshall and his shot from an angle was parried. Early in the second half Jones was played through on goal but hesitation saw the chance disappear. Every time a home or away player failed to grasp a presentable chance, the tension grew that bit more around the stadium. Not that anyone told Marshall. 56 minutes into the game, and just as patience in the away end was beginning to thin, the in-form winger took the game by the scruff of its neck. He picked up the ball from outwide, ran centrally towards the Bury backline, and from the centre of the edge of the box fired home a powerful low shot that bounced into the bottom corner of Joe Murphy’s goal. The celebrations were memorable. Marshall has consistently delivered the goods over recent weeks, and this was another big moment from the Jamaican. The goal helped to open up the game. Bury couldn’t continue to keep men behind the ball and squeeze the space from City’s three-man attack. They had to show more attacking intent. Nicky Law’s introduction for the anonymous Billy Clarke helped the Bantams to gain more control over the tempo. Stuart McCall firstly switched to a diamond, which helped to support the-at-times completely exposed Romain Vincelot and Josh Cullen. The frequency of City attacks slowed, but at the same time became more cutting. Especially with Bury committing more people forward. Similarly to Law, the introduction of Jordy Hiwula for the disappointing Jones aided the team’s performance. Like Jones, Hiwula was guilty of missing presentable chances and of taking the wrong option; but his on and off the ball running caused Bury considerable problems. He stretched the game by running the channels. Hiwula set up the second, clinching goal six minutes from the end; after Cullen won the ball high up the pitch and played it into the on-loan Huddersfield man’s path. Hiwula crossed low, and there was Charlie Wyke on hand to do what he does best: fire the ball into the net. It was a long-awaited first goal away from Valley Parade for the big money January acquisition. Had the chances that Jones and Hiwula wasted fallen to Wyke instead, the game would have been put to bed much sooner. Bury were putting City under pressure prior to the killer second. With a quarter of an hour to go, McCall had dropped Vincelot back into defence and gone for a 5-3-2 set-up that was aided by another strong performance from a substitute. This time the athletic and intelligent Timothee Dieng. For Dieng it was a chance to gain some redemption for the costly mistake he made in City’s last away game, where he lost Matt Crooks at a corner to allow Scunthorpe to defeat the Bantams. But since that shoddy defensive team display, City have won two on the bounce whilst keeping clean sheets. Nathaniel Knight-Percival – who missed the defeat at Glanford Park – is a key reason for that. He was simply outstanding at Gigg Lane. McCall too deserves a huge amount of credit. His open, attacking tactics deployed at Scunthorpe United were heavily criticised by some, but with a slight tweak of going from 3-3-1-3 to 4-2-1-3, the City manager has maintained his approach and been rewarded handsomely. It still seems scarcely believable that the Bantams can afford to be so adventurous in away games especially, but Bury had no answer to it in the end. Like Walsall, they attempted to stop City from playing. Like Walsall, they ultimately couldn’t succeed. What makes McCall’s coaching style more impressive is the way he gets his team to smoothly change systems mid-game, with no-one looking confused or uncomfortable. Three different formations were deployed in the second half here, to telling effect. The job is not yet done for City, but they’re not far off completing stage one. A Good Friday win over Oxford United, coupled with a defeat for Southend at Chesterfield on the same afternoon, would virtually seal a play off spot. The next target is ensuring the Bantams finish at least fourth, and thus have the advantage of the second leg of the play offs at Valley Parade. Beyond that, who knows? With Bolton not playing until Saturday, a City victory over Oxford could close the gap to the automatic promotion spots to just four points. What a time this is to be a Bradford City supporter. A fair summing up of what was a well earned three points in the end. Only thing i would question was James Vaughan’s miss. From our angle right behind the goal Doyle makes a very good save on what looked like a goal bound shot. That’s why Vaughan was so incensed with the goal kick. A game changing save in a half where we were out of sorts. Brilliant result..and could seal the play off place at Bramhall Lane! Just need to finish fourth now..or even third! Hopefully it will be Scunthorpe..and then Wembley v Fleetwood! A win we ground out. Agree Doyle saved the shot from Vaughan which is why he went ape with the ref. Clipped Doyles leg and went wide. Thought the subs made a big difference. The game suited Laws style more than Billy Clarke. Again thought Billy struggled, should he start the next game? Jones will learn from today, their defender won most of the battles with him. Hiwula was superb when he came on. Caused panic in the back line. I didnt like the steward who man handled the kid who ran on the pitch after the 2nd. He was bearly 11. Use common sense. The kids father had to intervene and both were escorted out. Final note was the fans seemed quiet. Didn’t really liven up until we scored. Nerves or an air of expectation we would win I’m not sure. Good report. I thought that Bury were a poor side – Lee Clark was rightly angry with the number of free kicks and corners that were over hit. But their 2 big centre backs dominated both Wyke and Jones so that they were ineffective. The attacking threat came from Marshall who was superb – eager for the ball and productive with it. Agree about Hiwula when he came on and probably should have scored before the 2nd goal. I was disappointed with Meredith in both defence and attack – interesting contrast with Leigh who was good in both areas. Did City let the wrong one go? In a word, NO! Meredith has been superb for us this season and i can’t think of a better LB in league one. However I was very impressed with Greg Leigh yesterday, and would have him back in a breathe if Meredith was to leave at the end of the season. Wyke, “ineffective” yet he scored!! An oxymoron methinks! Is it just me or are other people confused about the number of systems teams play these days. 3-3-1-3 to 4-2-1-3??! I might be showing my age here but I’m With Harry Bassett here when anything other than a “four four f****** two” stumps me…. !